The perfect autumn accessory, but also beautiful in any season! Bright orange and red leaves decorate the ground and sweet little quail gather for a midday chat. They tell jokes, swap gossip, and generally enjoy each others' company. The brisk autumn air doesn't bother these feathered friends. All is peaceful and content in the animal kingdom today... 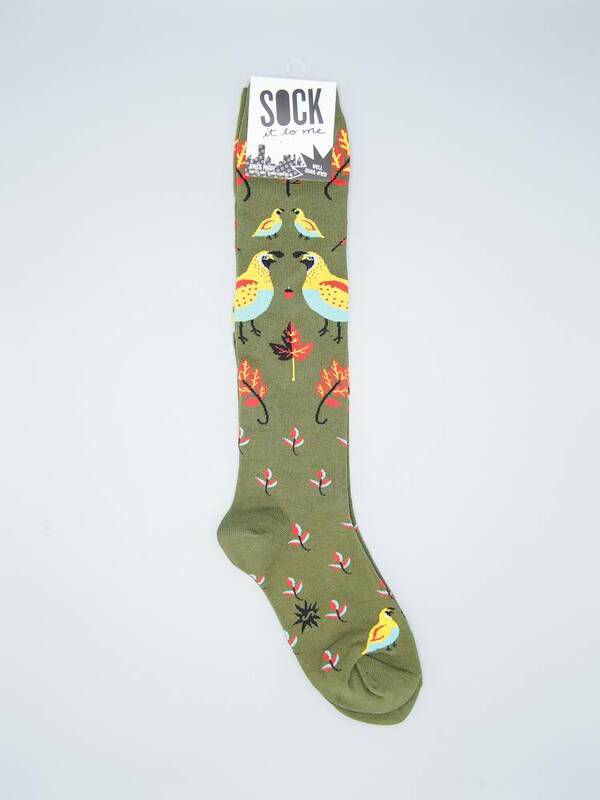 Wear these knee-high socks as a symbol of love for our animal friends, and a tribute to all the best parts of fall.